I got myself into watching this film because my siblings needed it as a movie review project. I’ve heard a lot of good things about the movie but I’m the skeptic type so I want to see it for myself. When my sister was paying for the tickets, we learned that there are no longer student discounts and so we paid the ticket in full, Php 180. We were a bit disappointed. 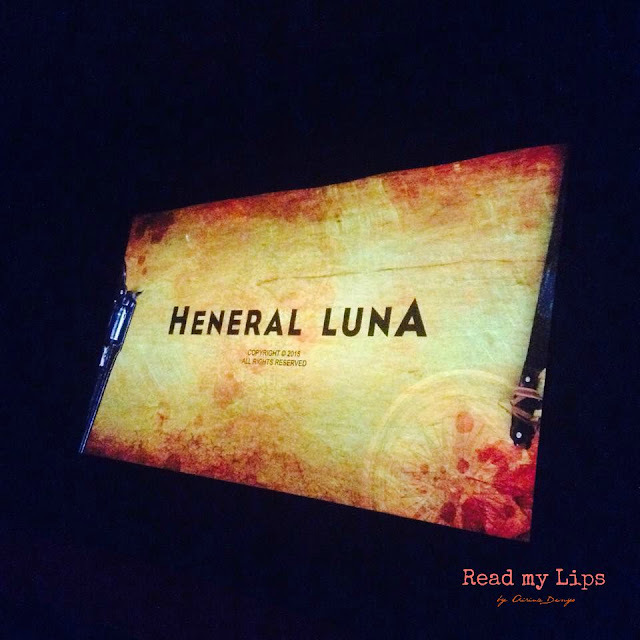 As a backgrounder, of course the movie is about the life story of General Antonio Luna, the greatest Philippine Army General this country has seen. He is a scholar, medical doctor, scientist, pharmacist, poet, and military man with higher educational attainment than our beloved Jose Rizal. He is also known as an ill-tempered leader with the iconic moustache. I was expecting to doze off while watching because that’s what I do when I see Filipino films, but instead, I hanged on to every dialogue, laughed at every punchline, and nodded at every “Hugot Heneral” line. I hope I give enough credit to this great film through this list. Read on and head to the cinema nearest you after reading. 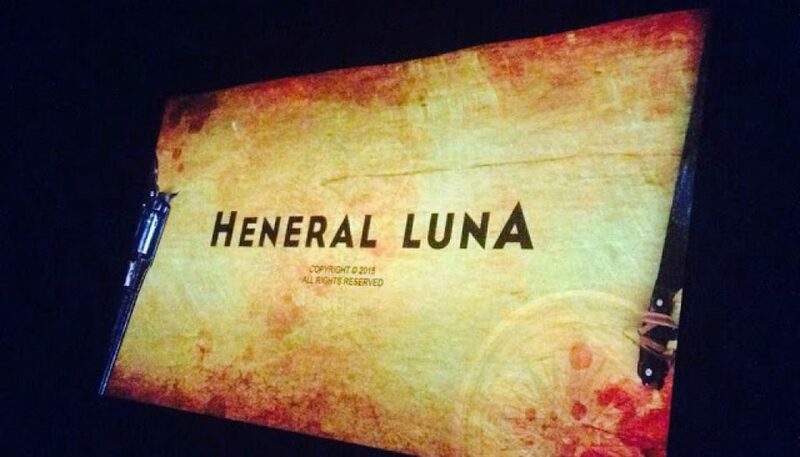 In the film, General Luna was allegedly executed by Emilio Aguinaldo and his allies for allegedly planning to oust the President and make himself dictator. A lot of the cabinet members are envious of Luna because of his very strong demeanor. The story might have happened many years ago but it still rings true today. We are our own enemies. It happens every day: when Filipino politicians pocket the money intended for the Filipinos, when Filipinos complain about traffic when it’s their kababayans who flock the malls during big sales, obstruct the major roads during fun runs and rallies, and refuse to carpool because they wanted to preserve their “sosyal” image. It’s present when Filipino bosses fail to give the due overtime pay of Filipino employees, when Filipino patients bully Filipino nurses, when Filipino police officers get bribes from Filipino motorists, when Filipino teachers ask for expensive gifts in exchange of good grades for Filipino students, when Filipino viewers support pirated versions of Filipino films with very little to no budget at all, when Filipino officials steal the contents of balikbayan boxes of Filipino overseas workers, when Filipino officials hide the truth about anomalies… the list goes on. 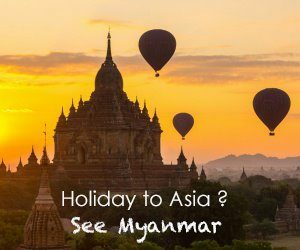 It happens everywhere, we might not be in a big battlefield with high-powered rifles, we might be an independent nation on paper, but are we truly free? We pride ourselves in this character, but little did we know that it is also our greatest flaw. Because of our great love for our families, we never leave home and became ignorant, we follow tradition and religion blindly, we work overseas to send remittance in dollars and take care of children of other people, while our own grow up with no parents, we obey the elders even if their decisions are absurd, we take care of our old parents because we are their insurance plan, and we follow the norms all our lives. I wonder when can saying “Sorry Mom and Dad, yes I’m stubborn but I am old enough and I know what I want” be acceptable? Since time immemorial, we are the underdogs. We lack high-caliber guns, height, education, money and what-have-yous but like General Antonio Luna, our determination is bottomless. During his gruesome death, he received numerous gunshots and stabs, but he still remained standing. We are like that; no amount of struggle can bring us down. Duh, Typhoons? Keep them coming! I know I just watched a historical film, but I laughed no, I broke up laughing for most of the film. All the characters represent us in a way that never goes old. So I conclude that the “laughing in times of adversity” personality that we have isn’t new, we’ve had it for a very long time now. 5. Filipinos can make G-R-E-A-T films! Well, that is until this film. Where the hell had director Jerrold Tarog been all my life? And it’s just Php180 for crying out loud! I am even ready to pay thousands for a film like this! Remarkable actors who do not need to say anything, their facial expressions convey the message even without a script. But the script was epic too! Superb artistry, worthy of boasting as at par with Hollywood. 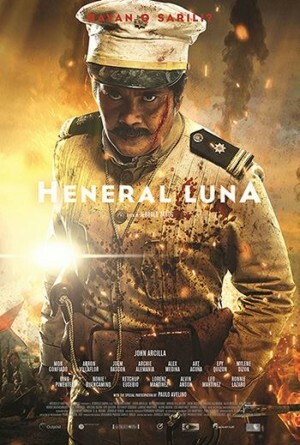 The bloody scenes were the best of Filipino cinematography I have ever seen. What now? Did I convince you to watch? I swear you will walk out of the cinema as a different person afterwards. I honestly do not care if the story was factual, but apparently it was. What I know is, it was one film that affected me without trying to make me cry. And that is one big factor for me. I have read somewhere that it is part of a planned trilogy as first installment. The next films will be about Gregorio Del Pilar and Manuel Quezon. I can’t wait to see them all! I have suddenly made a pledge to watch all historical films from now on. Thank you Artikulo Uno Productions! Because every Filipino should watch it!